With the coolest sunglasses you can tame the hot Florida sun! Stop in to Eye Catchers Optique and browse our collection of quality sunglasses! 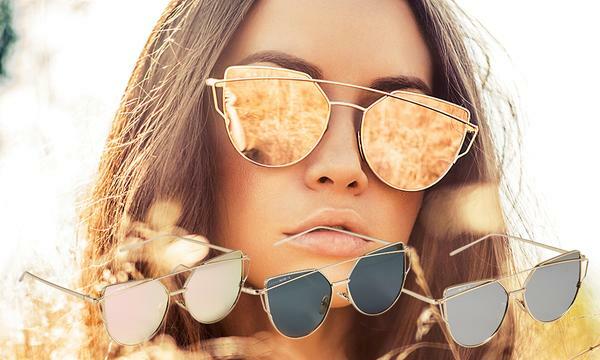 Whether your sunglasses are an aid to clear vision or a fashion accessory let us help you select the perfect pair of sunglasses that will give you protection from the sun and a crisp view of the world you’re moving through! Try on a pair of polarized sunglasses and you will instantly see how they eliminate blinding glare. UV Protection – The sun’s UV radiation can cause cataracts. It can also contribute to macular degeneration and numerous other eye disorders. Glare – that blinding light that comes off reflective surfaces like the ocean, road or the hood of a car. Ask us about our sport specific sunglasses for golf, fishing and cycling. On the highway, the ocean, the beach, the golf course or the ball field get a crystal-clear view at all times.